Data analytics technology specialist Mosaic Smart Data has won the Best Use of Data and Analytics award at the annual FStech Awards, held in London on Thursday 23rd March. Regulatory changes and advances in technology are revolutionising fixed income, currencies and commodities (FICC) markets and driving the need for intelligent data analytics and reporting. MSX delivers a next generation data analytics platform for FICC market participants. 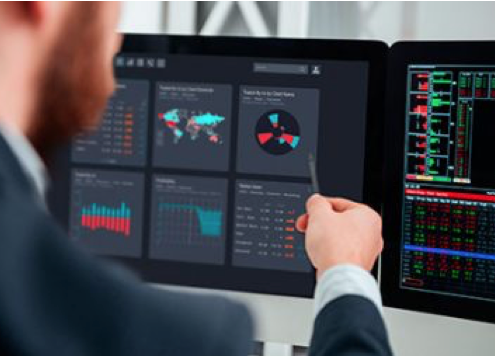 By delivering the insights and real-time intelligence they need to harness exponentially increasing data as well as meeting regulatory requirements, it enables trading and sales teams to significantly enhance their workflow productivity. The platform standardises and aggregates multiple data sets to enhance audit trails and reporting, enabling banks to comply with mounting regulatory requirements. Mosaic has fully integrated predictive analytics into MSX, enabling financial institutions to more accurately determine future market activity based on sophisticated algorithms and historical data. Read more about this story at Mosaic Smart Data’s website here.